BUGS, they're devious and dangerous. Prepare yourself NOW! Reduce their numbers while you still can. Right now they are lulling you into a false sense of security. They know that you think by the end of fall you'll be done with them due to the long, cold, harsh winter months. They know that you're pretty excited and relieved, because you think they will be dying off...and some of them will. But before they do...they will lay eggs...millions of them...and they will all emerge in the spring, like a horde of hungry flesh eating locusts to begin the Zom-Buggie Apocalypse. The ones that don't die off will go into hibernation when it starts to get really cold outside. They find cracks and crevices to hide in to keep themselves safe...and they will wait...and they will plot and they will get hungry. Some of them will hide in your house, in your closets and in your walls. Some will go into the earth like little vampires to emerge and lay their eggs in the spring to spawn a new swarm of bloodsuckers when the warm weather comes again. Prepare yourselves NOW good people of the earth for the Zom-Buggie Apocalypse that will surely come. We're fast, and we're friendly, and we're deadly to bugs. 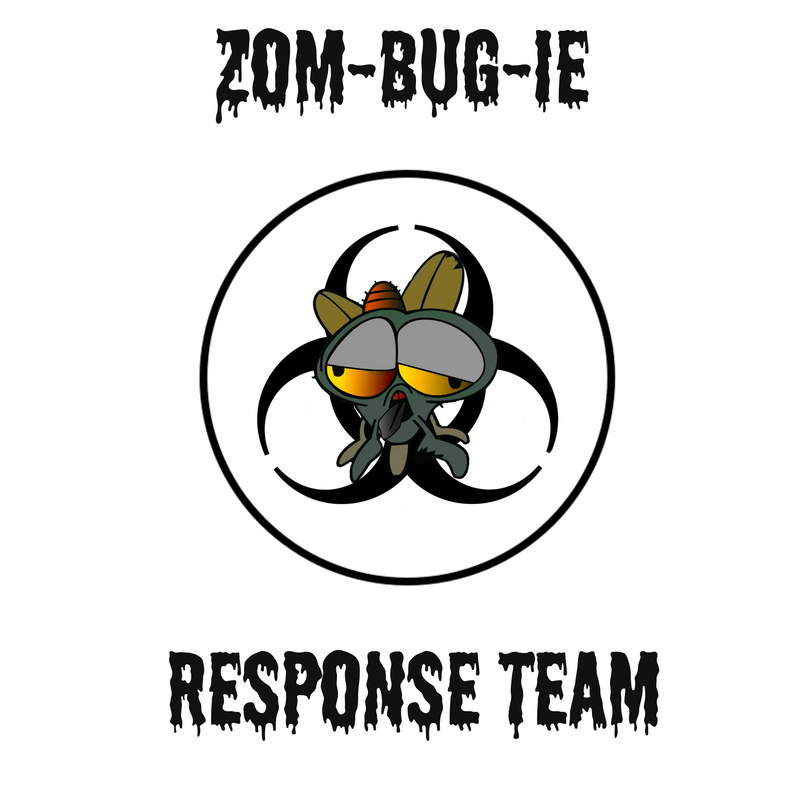 Reduce the Spring "Zom-Buggie Apocalypse"